Good Old Games is out to appeal to all RPG fans, regardless of what you like. Loot crazy dungeon delvers will be able to get a copy of Torchlight for a mere 8 bucks, but there’s an even better deal on other sites. If you prefer our RPGs to have massive political narratives then never fear both the Witcher and it’s magnificent sequel Witcher 2: Assassins of Kings are on sale for less than 10 bucks. 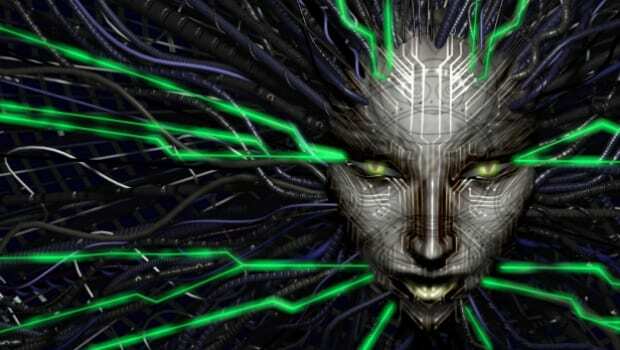 There’s one other big piece of news from GoG—the PC classic System Shock 2 is now available for purchase. Written by the man who would later bring us Bioshock, System Shock 2 was renowned for its innovative storytelling and unique hybrid of FPS and RPG mechanics. Give it a shot for only 10 bucks! Steam is jumping on the RPG theme as well. Loot lovers will love Torchlight II, and you can get the classic dungeon crawler for half off. That’s only 10 bucks! Torchlight II has multiplayer, but if you’re looking for a truly co-op game, pick up a copy of hack ‘n slash beat ’em up Castle Crashers for a mere 8 dollars. But the deals don’t end there! Steam is launching on linux, and to celebrate you’ll be able to get your greasy hands on a bevy of great indie titles. We’re talking Bastion ($4), FTL ($5) Frozen Synapse ($6), Dungeons of Dreadmor ($3), Sword & Sorcery ($4), and horror classic Amnesia ($5) all on huge discount. There are more games that I didn’t mention so be sure to check them out. You’ll find something you like, I promise. Amazon still has Assassin’s Creed on sale from last week, but if you’re looking to try something different, you’ll be able to get a copy of multiplayer shooter Battlefield 3 for $19.99. Or, if you’re feeling a bit less murderous, Epic Mickey a shot—it’ll cost you less than 15 bucks. Green Man Gaming has always got a lot of sales going on, but the one that jumped out to me this weekend was the 2012 shoot ’em up Sine Mora. It’s a beautiful game, combining great 2D shooter gameplay with a unique time-manipulation mechanic. That’s it for this week. It’s a nice variety of games on sale, so no matter what you like, you should be able to find something you like for the best price. Game on, comrades!